The Church must Gather. The Church must Go. And the Church must Grow. Some will come through our front door to gather for worship and instruction. But there is always a “next door” church planting opportunity. Brewer’s Hill is only the beginning of a project to equip gifted men who are called by God to become church planters church planters in the rest of Milwaukee. This is the mission of the church. 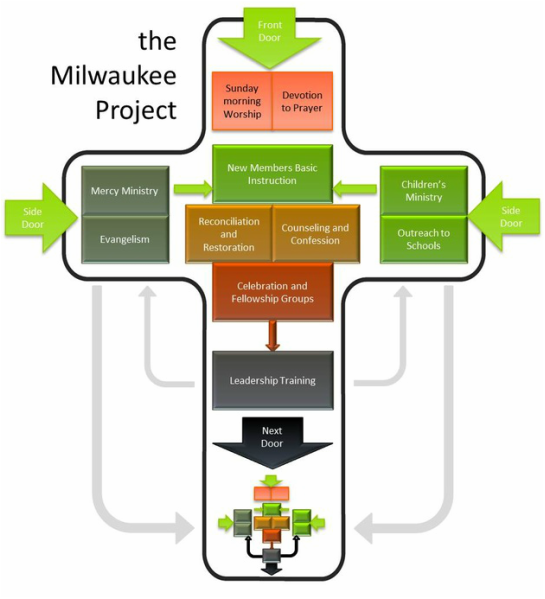 This is the mission of the Milwaukee Project.